"Conetnt Tells" is your friend for life. if you need an insight in to Politics, economy, social issues, Technology, Travel and Auto you come to "Content Tells". In-depth Discussion can be found in any topic you ever consider to be important. It is Start-up Media House with young minds and ask for your support with your insight. 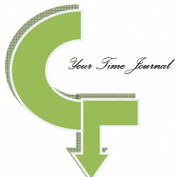 You can submit your own articles and you will be compensated with copyright belongs to you.